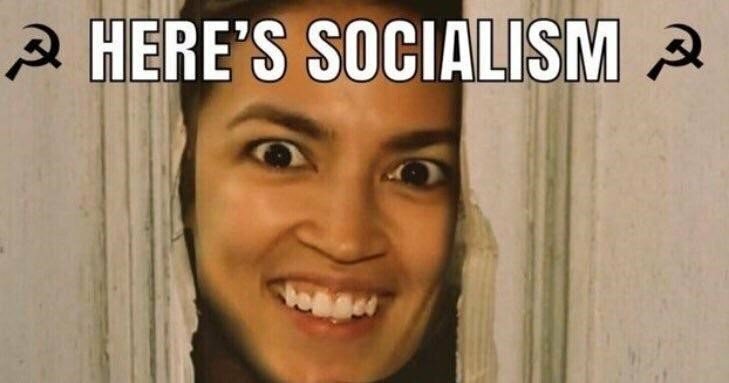 Alexandria Ocasio-Cortez is loud, outraged and not particularly bright. In fact, saying she’s not particularly bright is kind of like saying Antarctica is not particularly hot. Alexandria Ocasio-Cortez IS what the mainstream media THOUGHT Sarah Palin was when she first came on the scene except she’s liberal, dumber and considerably less accomplished. I know, I know, you’re probably thinking, “People exaggerate so much these days in politics. How bad could it be? Particularly since Sens. Kamala Harris, D-Calif., Elizabeth Warren, D-Mass., and Cory Booker, Spartacus-N.J. endorsed it?” Read the 6 greatest moments from Alexandria Ocasio-Cortez’s Green New Deal and I think you’ll see that the Democratic Party is even wackier than you thought. 1) It calls for getting rid of airplanes: In Cortez’s FAQ, she specifically noted that she’s not sure that they will be able to get rid of airplanes in 10 years’ time. Of course, that idea near and dear to the hearts of environmental extremists is insane. Outside of China, where the government can do and take whatever it wants, there’s not a single nation on the planet that has built enough high-speed rail to even go from one side of the United States to the other. Furthermore, high speed works much better in areas with a dense population which doesn’t describe most of the United States. Then there’s Hawaii. What, are we just supposed to take boats back and forth to the Aloha state? If you go from San Diego to D.C. later this year, are you good with spending days on a bus going each way rather than just taking an 8 hour flight? Because if Alexandria Ocasio-Cortez gets her way, that is exactly what you’ll be doing. I guess we’re lucky that Cortez hasn’t demanded that the buses play Al Gore’s monotone voice on an endless loop, lecturing us about global warming while we take our cross country bus trips. 2) It calls for getting rid of cows: Why cows? Because environmentalist wackos are upset that they fart too much methane into the air. Yes, really. So enjoy those burgers and steaks while you can because if Alexandria Ocasio-Cortez gets her way, you’ll be eating tofu and potatoes to break up the monotony of kale burgers. 3) It calls for upgrading EVERY BUILDING IN THE UNITED STATES “to achieve maximum energy efficiency, water efficiency, safety, affordability, comfort, and durability, including through electrification:” That’s right. Your house, the Mom and Pop grocery around the corner, the bait and tackle shop run by that creepy old guy who’s a little drunk when you show up at noon? They ALL are going to need significant upgrades probably totaling thousands of dollars and who would be surprised if we’ll be made to put up a picture of America’s newer, dumber version of Mao while it’s all being done? 4) It calls for the United States to be free of carbon emissions in 10 Years without the use of nuclear power: This is kind of like calling for the Arizona summer to be free of sweat without the use of air conditioning. Currently, wind and solar power make up 7.7% of U.S. power. Furthermore, the wind doesn’t blow all the time; it’s not always sunny and not everywhere in the U.S. is particularly sunny or windy in the first place. Even if it were possible to build enough solar and wind power to replace gas, oil, coal and nuclear power, which it isn’t given the current technology on the market, the cost of trying to do it in 10 years instead of letting it occur more naturally when (and if) the market is ever ready, would reach into the trillions of dollars. 5) We should get rid of gas-powered cars in a decade: Currently, electric cars comprise roughly 1% of the U.S. market. In other words, there are over 250 million cars on the road and Alexandria Ocasio-Cortez’s idea is to trash them so they can be replaced with trillions of dollars in high speed rail that couldn’t practically serve much of the country along with overpriced, underpowered, under-ranged electric cars most Americans don’t want. The Green New Deal doesn’t seem like such a great deal if you own a car. 6) It promises “economic security” for those “unwilling to work:” Maybe it’s just the archaic values that were drummed into me in the pre-Alexandria Ocasio-Cortez America, but it seems like a bad idea to tell people, “Whether you choose to ever work or not, you’re still going to be economically secure.” I know that Alexandria Ocasio-Cortez probably doesn’t know this, but “From each according to his ability, to each according to his needs” has been tried out before and it didn’t work very well.